While on break, I had to work for 1 morning. I took some time to head downtown in Ihaca with my camera. This is what I found. This photo was suggested by Ben. 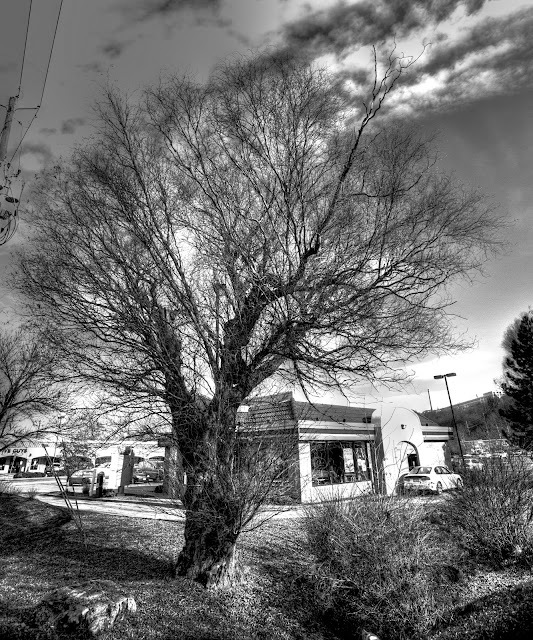 It's an incredible willow tree on a very small piece of green space between a bank and a Taco bell. 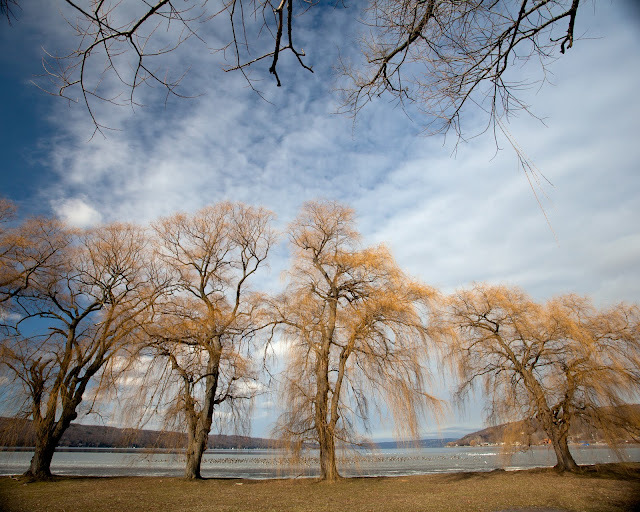 The Willow Trees in Stewart part are some of the most commonly photographed trees in the area. I thought I'd try this angle to give the illusion of other trees reaching out to the willows. (There are also geese out on the ice just beyond the willows. I failed in completing the 52 trees in a year, so I'll continue into this year to finish this project. just looking at these again man - great photos. that black and white has such great strength and depth.. nice work! can we trade painting for photo?